Normally, when you have boring, vacant wall space, your first thought is to liven it up with art, mirrors, and other various types wall décor. However, if you notice that your room desperately needs a little something extra in the light department, a few wall sconces may be what you need. Wall sconces are ideal for brightening up and adding layered task lighting to any space. When searching for the perfect wall sconce, there are a few essential factors you’ll want to keep in mind. Wall sconces come in many different shapes and sizes to create different effects with light. That's why you should consider what kind of effect you want the light to have on your room. Do you want your room to look bigger, cozier, more balanced? These four types of wall sconces are able to change the look and feel of a room by diffusing and contouring light in their own way. Uplight – Uplight wall sconces direct light towards the ceiling, creating a wash of lightthatdraws attention upwards. The further down the wall an uplight wall sconce is positioned, the more the light will be able to spread along the upper half of the wall. Uplight sconces are perfect for making the room look larger than it really is. Downlight – To give your walls a downward wash of light, use a downlight sconce that allows light to only escape from the bottom of the fixture. The higher you place this sconce, the more light will be cast down onto the wall. Downlight sconces will ground your space, creating a warm and cozy atmosphere. Up/Downlight – Up/downlight sconces will give your walls an even wash of light in both directions. Because these types of sconces allow light to shine through the top and bottom of the fixture, they can be positioned according where you want the most light. These sconces will give your room a more balanced feel with its even distribution of light. Candle Style/Low Wattage – As you can tell from the name, candle wall sconces are meant to resemble original wall sconces that held real wax candles. These types of sconces are usually low-wattage and cast minimal light to give a room an intimate ambiance. 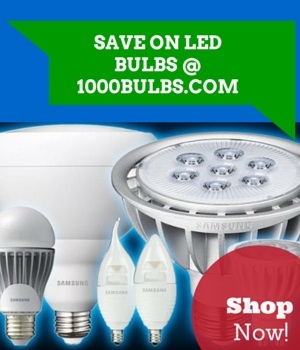 Their main function is for aesthetics and decoration, so you won’t want to use them as a main source of light. When looking for wall sconces, it’s important to take note of your existing décor and think about what style of sconce will enhance and compliment it. Is your home rustic, modern, traditional, or none of the above? How much light does the room need? 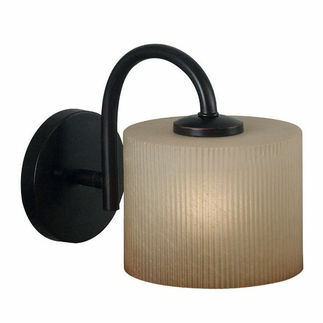 Wall sconces also come in 1-light, 2-light, and even 6-light options. Evaluate the décor style of the room to help make narrowing down your search much easier. Another trick is to pay attention to the type of finishes you see around your space, such as on hardware, plumbing, and appliances, to get an idea of how well a sconce will match. If you’re hanging more than one wall sconce, and there’s a good chance you probably are, it’s also important to consider their dimensions in relation to the distance they are from one another. The positioning of a wall sconce all depends on how and where it’s being utilized. Bathrooms – The best place to hang wall sconces in a bathroom are on each side of the bathroom mirror, so that your face gets nice, even lighting that eliminates unattractive shadows. Where you place the sconce in terms of height, all depends on the person using the mirror. Try placing them at or very close to eye level. A good rule of thumb is to install them between 65 to 70 inches from the floor. Hallways/Living Areas - If you’re using them to provide general lighting in a hallway or dining room, you will want to space them 4 to 6 feet apart and hang them no less than5 feet from the floor. A person of average height should not be able to see the bulb in the fixture. Again, these figures can change depending on a few factors, such as if you have very tall walls or they need to be level with existing wall art. Do you have any other questions about finding the right wall sconce? Let us know if there’s anything we missed in the comments or connect with us on Twitter, Facebook, LinkedIn, Google Plus, and Pinterest!